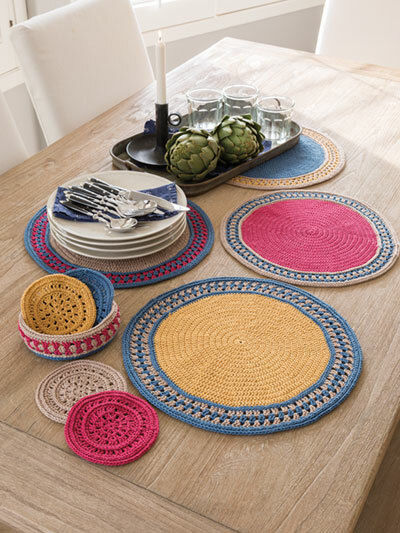 Set your spring and summer table with bright pops of color! 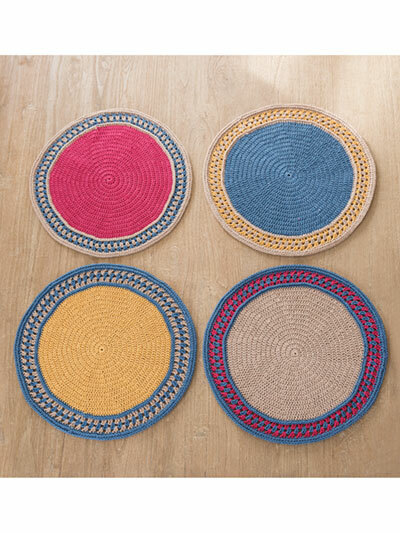 These place mats and coasters are worked in the round and finished off with attractive borders. 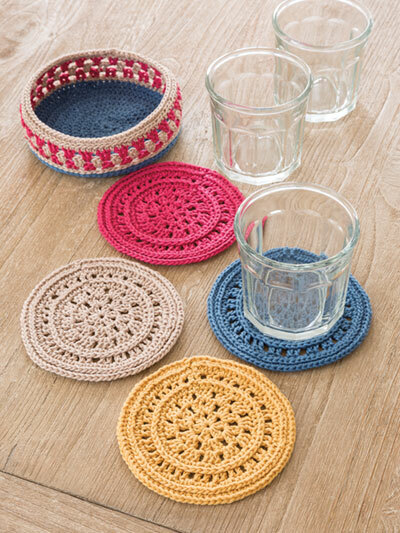 Store the coasters in the matching basket. Crochet with DK-weight Omega Sinfonia: 2 skeins each denim, camel, fuchsia and gold. Pattern uses a U.S. size E/4/3.5mm hook. Finished sizes: place mats 14" diameter; coasters 6 1/4" diameter; basket 6 1/2" diameter x 2"H. Design by Lena Skvagerson for Annie's Signature Designs. I haven't completed my set yet but I am having fun making it. I found the pattern quite easy to read.